Rooms from $68.79 per night. Description This Dalton, Georgia hotel has free internet access and non-smoking guest rooms. This hotel is also pet friendly. 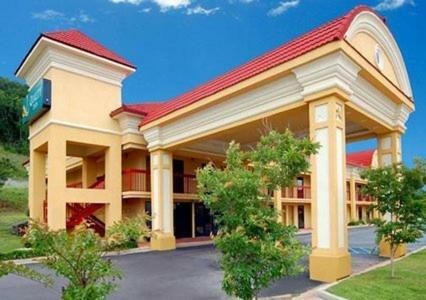 The pet-friendly Quality Inn Dalton features free high-speed internet access and in-room microwaves and mini-fridges. All 200 rooms in the two-story Quality Inn come with coffeemakers 32-inch cable plasma TVs with premium channels microwaves mini-fridges and free wired high-speed internet access. Pets are allowed for an additional fee. Laundry facility allows travelers to pack light. Fax and copy services available for an added fee. Parking is free. 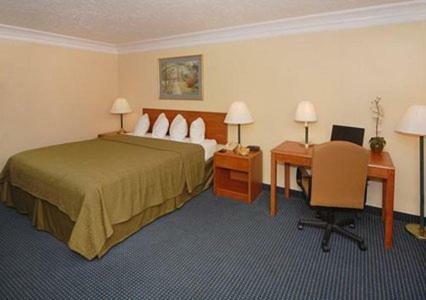 Located off I-75 the Quality Inn is halfway between Dalton State College and the Northwest Georgia Trade and Convention Center less than one mile from each. Guests are also less than one mile from the Market Street Shops of Dalton and three-and-a-half miles from Dalton's Crown Mill Historic District. Chattanooga Metropolitan Airport in Tennessee is a 30-minute drive from the hotel. Hartsfield-Jackson Atlanta International Airport is 90 miles south of Dalton. 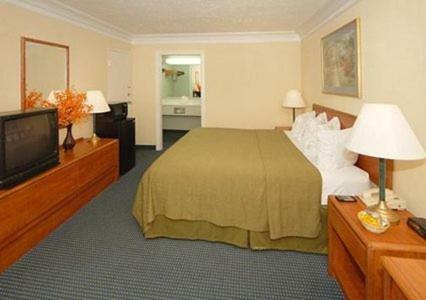 Add Quality Inn Dalton to your free online travel itinerary.